It can see into the future, using data to predict member needs before they happen. It can use information from a myriad of different channels to create an ever-clearer picture of what’s going on at the customer experience level. 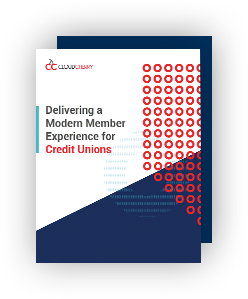 For credit unions, member experience (MX) is a journey: from the moment a member walks into their location branch, to customer service interactions, to the financial decisions they make after years of consideration. How can you make that journey better, at every step of the way? 32% of all customers would stop doing business with a brand they loved after only one bad experience. Your members won’t stick around waiting for you to bounce back from a rocky interaction. The combination of these three pillars will allow your credit union to map out and build an entire member experience that people will love. You have the theory of MX down, so what comes next? You need a practical, actionable checklist with concrete next steps to start implementing and perfecting a great MX today. © CloudCherry. All rights reserved.